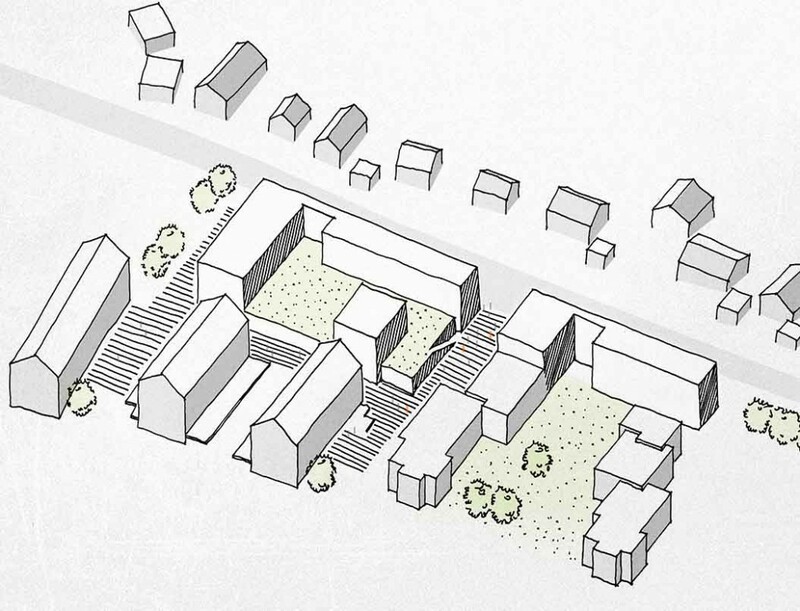 These residences on Giggenhauser Strasse in Weihenstephan, to the north of Munich, follow clearly defined architectural principles. The extension complements the existing site with a series of distinctive modern buildings that together form an attractive, user-friendly residential campus carefully matched to the topography of its natural and urban environments. The extension uses the same neatly ordered linear forms and straight edges as the institutional building to the west of the site and the more diverse range of structures on its north side. All residential units of the same type are identical, but the placement of the buildings creates a wide variety of individual views. The accommodation reflects the building’s cubic structure, with communal areas at the corners that can be flexibly organised to suit users’ needs and individual apartments placed between these, so that areas designed for sharing and interaction are located on the central axes.